Today’s craft project should probably be filed under, “If you can’t beat ‘em, join ‘em.” I’ve shoveled enough snow since the day after Christmas to last me the rest of my life. Here in New Jersey, back on January 26th, we broke the record for the most snow ever in the month of January since they began keeping records. And we’ve already had more than four times the amount of snow we normally get for an entire winter! The only time I like snow is when it’s not cold and wet -- like as a crafting motif. 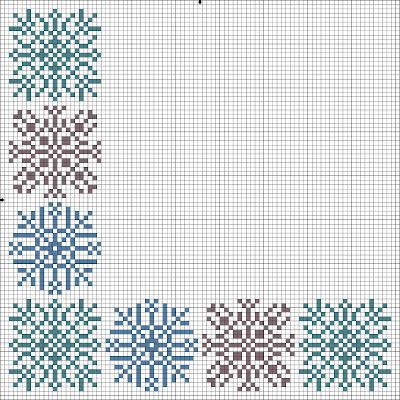 So today I bring you a cross stitched Snowflake Breadcover. The sample in the photo was stitched on a white 14-ct. Charles Craft Royal Classic Breadcover using DMC 3041 antique violet med., 826 blue med., and 3810 turquoise dk. for the snowflakes. If you can’t find a pre-finished breadcover, you can use an 18” x 18” square of any 14-ct. cross stitch fabric that drapes nicely. Or use a 28-ct. fabric such as Charles Craft Monaco and work over two threads. Machine stitch ¼” around the fabric, then pull the threads to fringe. Begin stitching ¾” from side and bottom edges. 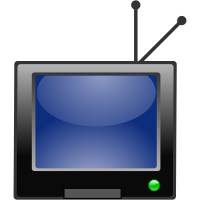 Print out the cross stitch chart and enlarge on a copy machine. 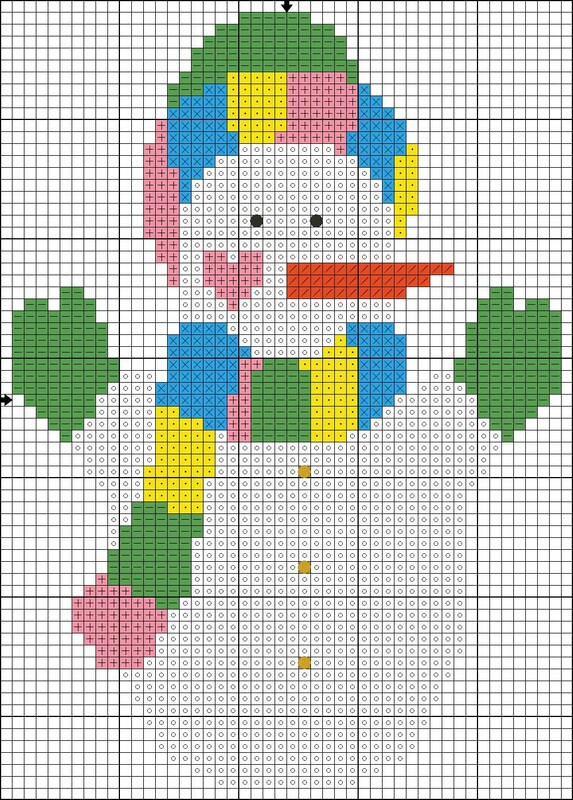 You can also substitute colors of your choice for the snowflakes. Reds, greens, and golds will work well for Christmas, but the colors I chose will enable you to use the breadcover throughout the winter. Thanks to all who stopped by this week at Killer Crafts & Crafty Killers. We hope you'll come back often and also tell your friends about us. We have lots of exciting posts and guests planned for the months ahead. I’d also like to thank Marni Graff for being our Book Club Friday guest and offering a copy of THE BLUE VIRGIN to one of our readers who posted a comment this week. The winner this week is Nancy Q. Nancy Q, please email your mailing address to me at anastasiapollack@gmail.com. I’ll forward the information to Marni, and she’ll mail your book to you. And don't forget to check out Lois Winston's blog tour. Tomorrow is the last day of the month-long tour and your last chance to enter the drawing for one of five copies of Assault With a Deadly Glue Gun. You can find the blog tour schedule right here on the sidebar and at Lois's website. Today’s guest blogger is writer Marni Graff, author of two mystery series and co-author of Writing in a Changing World. A former writer with “Mystery Review” magazine, Graff has interviewed Ian Rankin, Deborah Crombie, Val McDermid, and her mentor P. D. James. A member of Sisters in Crime, she runs the Writers Read program in North Carolina, and is also a founding member of the Screw Iowa Writers Group. 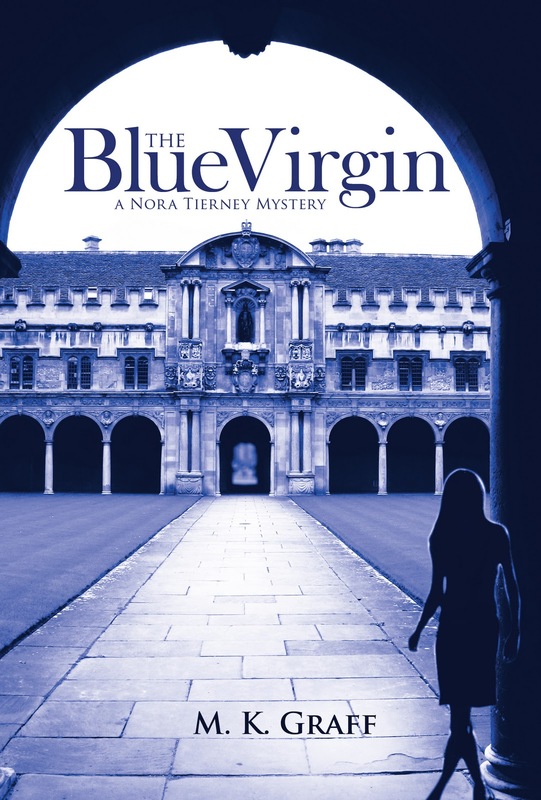 Her English series features American children’s book writer Nora Tierney; The Blue Virgin is set in Oxford. Read more about Marni at her blog: http://auntiemwrites.wordpress.com/ and also at www.screwiowa.com and www.bridlepathpress.com. Believing that setting often functions as a character in itself, I’m very careful when choosing where my stories will unfold. Having a lifelong affinity for England and its environs, I originally choose Cumbria as the setting for the opening of the Nora Tierney series. My visits to the land of Wordsworth and Beatrix Potter hold a fascination for me. It is one of the most lovely natural areas I’ve ever seen, and the book seemed to belong there. Then life intervened with an opportunity to study at Oxford, and I found myself in the hallowed halls of Exeter College, studying Wilkie Collins and Daphne Du Maurier. Sworn in as a reader at the Bodleian Library, I was able to read the original broadsheet reviews of The Woman in White. This mix of “town and gown” is noticed at once when visiting: The university has its dons lecturing in sub fusc, scouts bringing students morning tea, an historic tutorial system, and those forbidden grassy quads, while the town has its own muddle of traffic-choked streets, packed with bicycles and pedestrians, pubs and shops. Both exist alongside green meadows with grazing cattle, and rivers teaming with punters and canal boats. Small wonder then that I fell in love with the place. I could picture Nora here, too, and suddenly the idea for a new mystery, one that had Oxford at its heart, took over. I set aside the original Lake District manuscript and started writing The Blue Virgin, a combination of cozy and police procedural. Trying to clear her best friend, Val Rogan, of the suspicion she has murdered her partner, Bryn Wallace, Nora quickly becomes embroiled in the murder investigation, to the dismay of DI Declan Barnes, the senior investigating officer. And did I mention Nora’s four months pregnant with her dead fiance’s baby? I took great care to be accurate in describing Oxford’s history and the colleges, as well as the various locations and sites my characters visit. After all, this is the town that gave the world Lewis Carroll, penicillin, two William Morrises, and graduates spread across the centuries whose influences are still felt. A very short list includes: Shelley, Tolkien, Browning, Auden, Waugh, C. S. Lewis, Oscar Wilde, Robert Graves, T. S. Eliot, and Christopher Wren. More modern grads you will recognize include Dorothy Sayers, Stephen Hawkings, Richard Burton, Indira Gandhi, Benazir Bhutto, Hugh Grant and Val McDermid. And Oxford exudes mystery, as any Inspector Morse fan can tell you. The next Nora Tierney mystery, The Green Remains, is set on the shore of Lake Windermere in Cumbria. Today's post is quite appropriate, given that I'm supposed to be flying off on a business trip today. I say "supposed to" because we'll see if I actually do fly out. You see, here in NJ we've already had more than four times our annual snowfall, and it isn't even February yet. The snow just keeps coming and coming. I took the picture above on Wednesday. It snowed several inches that morning. It snowed again yesterday. No planes came into Newark Liberty Airport, so I have no idea if there will be a plane for me to fly out on later this morning. The snowman sits on a neighbor's front lawn. It's almost three stories tall. Thanks, Anastasia! There are some simple tricks to staying healthy while flying. The first thing to keep in mind is that it’s important to keep your immunity up. This means getting the proper amount of sleep prior to your flight. Lack of sleep lowers your immunity and your body’s ability to ward off germs. So don’t wait until the last minute to pack and wind up staying up all or most of the night before an early morning flight. Keep in mind that an airplane is like a Petri dish. You’re in a confined space with lots of other people sneezing, coughing, and otherwise spreading their germs throughout the plane. To keep those germs at bay, wash your hands frequently. I like to keep a small container of alcohol-based hand sanitizer in my purse. Remember, germs are spread mostly by touch. Ever notice that you often feel bloated after a flight? That’s due to the air pressure in the cabin. It slows your digestion. Magnesium is a great counterbalance to this phenomenon. The powdered supplement can be added to tea or water. Or just bring along a snack rich in magnesium, like nuts or whole grains. Headaches are another nasty side effect of flying. This is due to the dry air within the cabin which causes dehydration. 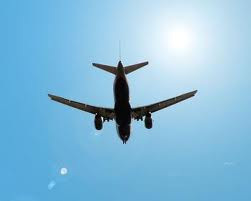 To avoid getting a headache, stay away from alcoholic beverages while flying and drink plenty of water. Finally, sitting for long periods of time in a confined place at best causes stiffness and sore muscles and at worst can lead to blood clots. Make sure you get up and move around the cabin periodically. While in your seat, exercise. Yes, you read that right. Look in the seat pocket. You’ll find a card that gives you step-by-step instructions for exercising your limbs and muscles and boosting your circulation while you’re seated. Follow these simple rules, and you’ll arrive at your destination feeling ready to tackle the day. Deep in the heart of winter we all need a bit of spring and sunshine to help us get through these dark, cold days. I do this by adding floral fabrics to my home décor. Floral fabrics are a quick and easy way to add flowers to any room, and flowers remind us of sunshine, right? So even if a blizzard is blowing outside, inside you can have spring. You don’t have to be an expert with a sewing machine to add some decorative splashes to brighten your rooms. Think no-sew. Anastasia turned me on to the marvels of fusible web and mounting adhesive. They’re now some of this decorating girl’s best friends. Just make sure you purchase products that can be washed if you’re using them on items you plan to wash.
Use floral motifs from purchased fabric or scrapbooking papers. Apply fabric florals to store purchased throw pillows. Use either fabric or paper motifs to add floral décor to your lamp shades. Buy some inexpensive small frames at a crafts store or yard sale. Paint them all the same color and frame either floral fabric or floral paper designs in them. Hang as a grouping on a wall. Or you can embellish picture frames with polymer clay flowers, porcelain flowers, or floral charms. If you use curtain tiebacks, insert a sprig of dried flowers into each. Set the mood by hanging a floral swag over an open archway or add a floral door bow. Finally, hang a spring wreath on your front door. So what if there’s a foot of snow on the lawn! Let that wreath put a smile on your face as you come in out of the cold and snow. Preheat oven to 400 degrees. Grease muffin tins. Place liquid ingredients and egg in blender and mix together at low speed. 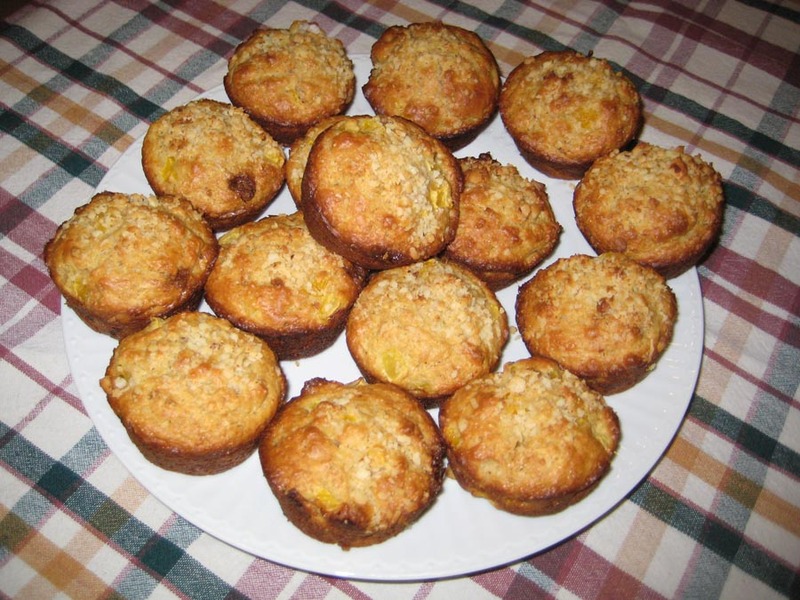 Fold in mangoes, dried mangoes, and 1/2 cup chopped macadamia nuts. In a separate bowl mix together remaining ingredients except for the tablespoon of chopped macadamia nuts. Fold the mango mixture into the dry ingredients until evenly blended. Fill muffin tins 3/4 full. Sprinkle remaining macadamia nuts over top. Bake 20 minutes. Cool 5-10 minutes before removing muffins from pans. Today I have more ideas for things to do with those small scraps of fabric left over from other projects. *Sew miniature quilts to use as pin cushions or hot pads. Use sawdust to fill the pin cushions and potpourri for aromatic hot pads. *If you’re making children’s clothing, use the leftover fabric to make matching outfits for the child’s dolls or stuffed animals. Patterns are available at fabric stores. *Make a first book for an infant. Using fusible web, fuse 9” x 12” fabric rectangles together. Trim the edges with pinking shears. Layer the pages. Machine stitch down the center of the pages to form the book. Fuse simple shapes such as hearts, stars, trees, and apples to each page. *For a great rainy day activity, cut fabric scraps into squares and rectangles with pinking shears. Let your children “decoupage” the shapes to empty cardboard juice boxes, cigar boxes, or oatmeal containers using tacky glue. After the glue dries, apply a coat of brush-on sealer. These make wonderful “I did it all by myself” gifts for family and friends. *Begin a memory quilt for each of your children or grandchildren. Save a 6” square of fabric from each special outfit, Halloween costume, play costume, dance recital outfit, etc. Using fabric writer paints, markers, or embroidery floss, write or stitch on each square to identify the event and date. Sew the squares into a quilt to present to the child upon graduation or as a wedding present. One of my favorite types of books to read is a themed anthology. These appeal to me for a number of reasons: I love to see what each writer creates from the theme, I love that each story can be read within an hour or less, I love the variety, and often I find new authors whose books I’ll buy. For me, it’s like opening a box of See’s chocolates, knowing that I’m going to love everything I eat, but not always knowing what I am going to get. There is definitely a challenge to writing a story for an anthology like this. How do you keep it fresh and yet cohesive to the anthology? It’s a challenge, but one that, if you trust your characters, and you’ve done your research, is possible to attain. Trust is a double-edged sword. Sometimes, it works, and, sometimes, it doesn’t. But it does make for interesting writing and reading because when left to her own devices, a character will always surprise you. There will be times she will make an unexpected decision, lead you right into a cul-de-sac, give you the bird, and walk away laughing because she knows now you have to find some way out of that impossible situation. In those instances, the delete key becomes your best friend. In others, she takes pity on you, saunters back with a bounce in her step and a twinkle in her eye, and proceeds to show you--with a brilliance that can only be genius--why she’s the character and you are merely her storyteller. Suddenly, the cul-de-sac is a boulevard, and you are traveling down it at warp speed without a seatbelt. And the story that at first appeared ho-hum turns into a modern day masterpiece, or at the very least, an entertaining tale with a satisfying end. 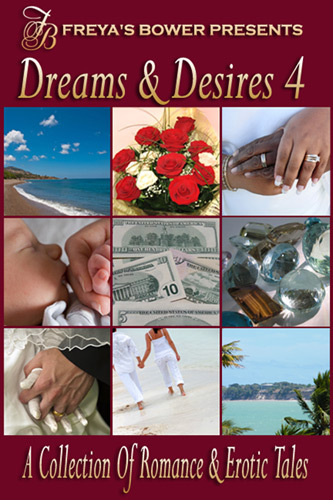 These are the types of stories you will encounter in our themed anthology Dreams & Desires. Since their inception, I have been the editor. And every year I am champing at the bit to see what the authors have cooked up. This year was no exception and certainly didn’t disappoint. From a Wild West bordello to a science fiction self-discovery to the chiming of a woman’s biological clock to urban fantasy and spicy M/M to paranormal and shape shifters, the stories of this anthology reveal the dreams and desires of nine very different people. Each story is a journey told by some interesting characters who were allowed to come out and play. Some are beautifully poignant, some made me laugh, some made me gasp, and all delighted me. All of the net proceeds of these volumes in this series benefit a specified battered woman’s shelter or an organization that provides support to battered women’s shelters. The stories, cover art, proofreading, and editing are donated to ensure as much money as possible goes to the chosen charity. This year’s beneficiary is A Window Between Worlds (http://awbw.org/). This non-profit provides art therapy training and art supplies to battered women’s shelters free of charge. Most mornings I rush out of the house with wet hair, if I’ve even had time to wash my hair that morning. Yes, I know I could set the alarm a half hour earlier in order to make myself more presentable at work, but I need my sleep more than I need to look like I just stepped out of a salon. After all, I’m the crafts editor, not the fashion or beauty editor. Thanks, Anastasia! I’m willing to bet that a large percentage of our readers use either a flat iron to straighten their hair or a curling iron to give it waves or curl. I’m also willing to bet that many of those readers are using these styling tools incorrectly, thus damaging their hair. Did you know that heat is one of the biggest factors in damaged hair? Yet most of you probably set your irons to the highest heat setting, don’t you? Here’s a little test to do to make sure your iron isn’t too hot. Take a piece of white paper and hold it between the platens or in the curve of the iron for a few seconds, about the amount of time it would take you to curl or straighten a length of hair. Now remove the paper and examine it. Is it still white, or has it begun to turn brown? If you see brown, your iron is too hot, and you’re damaging your hair each time you use it. Turn down the heat setting, and you’ll protect your hair from damage. Thanks, Anastasia! Did you know that the average family of four tosses out over 1400 pounds of food a year? That amounts to about $600 in groceries down the garbage disposal. And yes, if the milk smells sour, or there’s blue fuzzy stuff growing in the cottage cheese, there’s no question as to whether or not you should keep it. However, many families toss out perfectly good food based solely on the date stamped on the package. So here are some tips about those dates. The “use by” or “best if used by” date is the last day the item is at its highest quality. After that there will be a gradual decline in the taste, appearance, texture, odor, or nutritional value of the food. The “sell by” date is meant as a notice to stores to remove the item from its shelves after that date. This is because the quality of the product will begin to decline after this date. MILK: Whether opened or unopened, properly refrigerated milk will last 1 week after the “sell by” date. COTTAGE CHEESE: 7-10 days if the package is open, 1 week after the date on the package if unopened. YOGURT: 7-10 days beyond the “sell by” date whether opened or unopened. SOUR CREAM: 10-14 days beyond the date on package. RAW BACON: 3-5 days for an opened package, 1 week after “used by” date for an unopened package. COLD CUTS: 3-5 days for an opened package, 1 week beyond “use by” date for an unopened package. FRESH IN THE SHELL EGGS: 3-5 weeks beyond the “sell by” date. MAYONNAISE: 3-4 months after opening if refrigerated, 30 days past expiration date for unopened, refrigerated jar. 1. Always thoroughly wash your hands before handling food. 2. Store foods at proper temperature. 3. 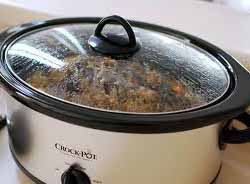 Cook all foods thoroughly and to the proper temperature for each food. 4. Wash all fresh produce. 5. Keep raw foods away from other foods. Pour soup, wine, tomato paste and garlic into slow cooker. Whisk together. Add the roast, turning to coat all sides. Toss in the carrots and onions. Cover and cook on low 8-10 hrs. or on high 5-6 hrs. 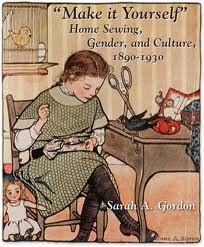 Today I’m bringing you more sewing tips. *Have you ever wished you had a cutting table like the ones in the fabric stores -- the kind with a “V” down the center for inserting your scissors to make a straight cut? If you have a kitchen or dining room table that has leaves, you have such a table! Simply open the table slightly, lay your fabric even with the edge of the table, and cut along the gap. *Keep organized by storing scraps of fabric, ribbon, lace, and notions in individual see-through plastic storage containers. Finding a 6” piece of pink ribbon for a bow is much easier when its’ not hiding amidst zippers and bias tape. *When buying fabric, ask to have the cardboard bolt if you’ve bought the end of the fabric. Wrap your fabrics around these bolts to store them stacked on a shelf. *Keep spools of thread and bobbins of matching colors together by threading them through a chenille stem and twisting the ends together. *Save those slivers of soap from the shower. They’re great for marking dark fabrics. Remove the marking by rubbing with a used dryer sheet. *If you have a favorite tissue paper pattern you know you’ll be using many times, use fusible web to fuse the pieces to unbleached muslin for a long-lasting pattern. Thanks to all who stopped by this week at Killer Crafts & Crafty Killers. We hope you'll come back often and also tell your friends about us. We have lots of exciting posts and guests planned for the months ahead. 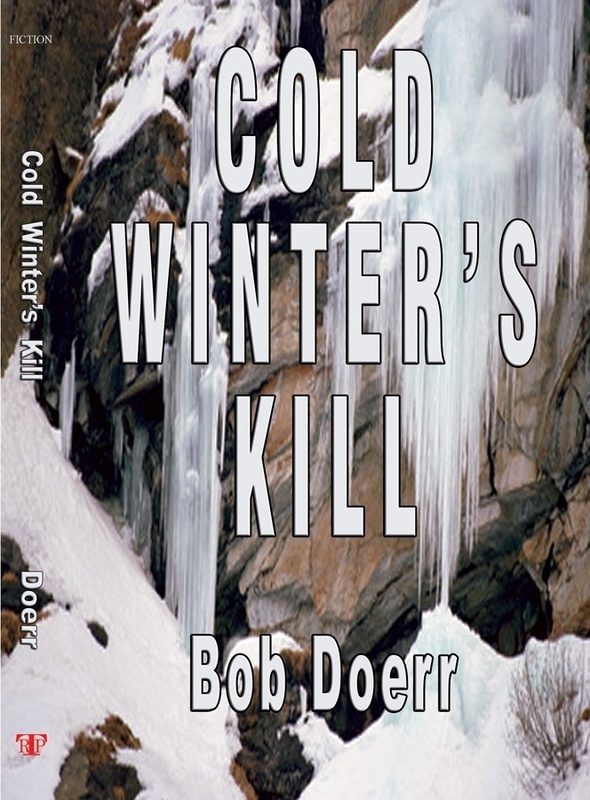 I’d also like to thank Bob Doerr for being our Book Club Friday guest and offering a copy of Cold Winter's Kill to one of our readers who posted a comment this week. The winner this week is traveler. traveler, please email your mailing address to me at anastasiapollack@gmail.com. I’ll forward the information to Bob, and he’ll mail your book to you. And don't forget to check out Lois Winston's blog tour throughout the month. Post a comment to any of the blogs on the tour, and you'll be entered in the drawing to win one of five copies of Assault With a Deadly Glue Gun, the book about yours truly. 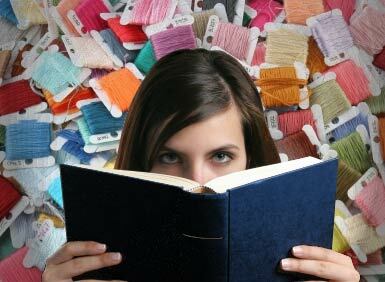 In addition, Lois will be offering crafts books giveaways at select blogs. 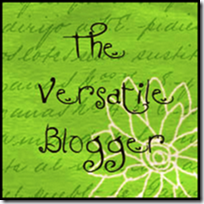 You can find the blog tour schedule right here on the sidebar and at Lois's website. Whisk together egg, garlic, Parmesan cheese, and seasoning. Stir in spinach. Add bread crumbs a little at a time until mixture holds together to form into four patties. Heat olive oil in frying pan. Add patties. Cook until browned. Flip patties and cook second side until brown. Place patties on paper towel covered plate to drain excess oil. Transfer to toaster oven broiler pan. Sprinkle with mozzarella cheese. Place in toaster oven and broil until cheese melts and turns golden brown. 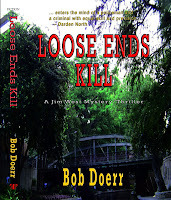 Today’s Book Club Friday guest author is Bob Doerr. Bob spent nearly thirty years in the Air Force with the Office of Special Investigations before he started his new career as an author. Those years filled his mind with thrilling plots and sinister characters that he is now finding homes for in his Jim West mystery/thriller series. 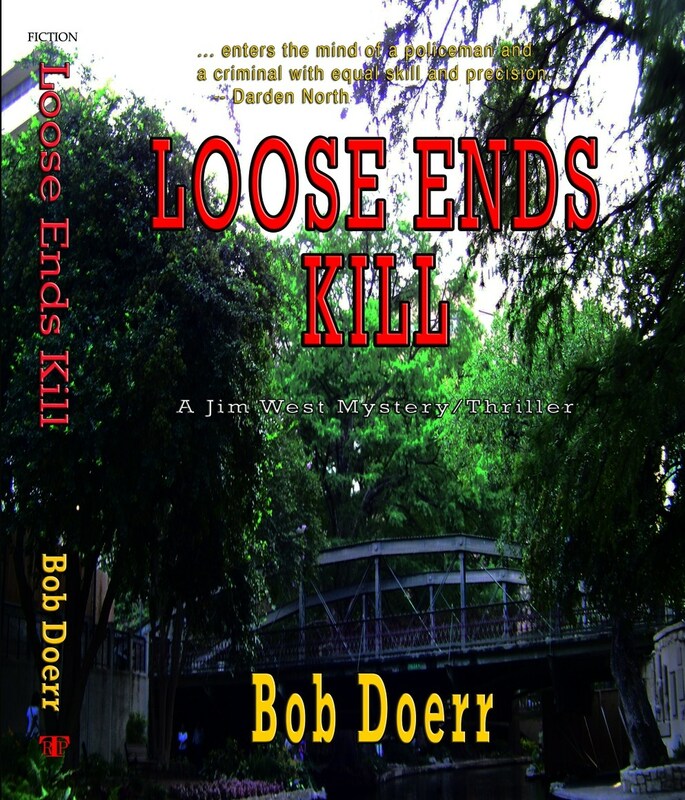 Bob’s third book, LOOSE ENDS KILL, was just recently released. You can learn more about Bob at his website. Thanks Lois for having me as a guest today. I hope you and all your readers had a happy New Year. As you know, I’ve been writing seriously now for a couple of years, and like most other writers one thing I thoroughly enjoy is interacting with my readers and answering their questions. I just returned from talking to a book club here in San Antonio and thought it might be fun to address some of the common questions I’m asked. Since the three books I have written comprise a mystery series with the same main character, Jim West, I find it interesting that many of the questions I receive are focused at West’s love life – or lack thereof. Is he going to remarry? Is his ex going to show up in a future story? Am I going to bring back Sarah, Kristi, or Lee in a future book? Since I have used a different southwest locale for each of my three books, another question I frequently get is where will I set the next Jim West mystery? For the book I’m currently working on, that question is easy – Colorado Springs. Beyond that – and to answer the three previous questions – I don’t really know. However, the number one question I get from people who have read my books - by far: Is Jim West me? The simplest answer to that question is no. The stories and all the characters are purely fictional. Luckily (or maybe not), my life has never been as exciting as his. Finally, despite the fact that I’m like West in not having won any awards for being the most attentive husband in the world, my wife hasn’t left me. For that I am indeed grateful! On the other hand, I have to admit I created Jim West and made him a retired Special Agent with the Air Force Office of Special Investigations (AFOSI), like myself. I gave him a home in Clovis, New Mexico, - where I graduated from High School. The settings that I selected for the books and for his flashback memories of places where he had served with AFOSI, such as Germany, Thailand, south Texas and Colorado, I picked because I had spent time there myself. I also gave him a personality and characteristics that I strive to emulate. I hope they also make him a likeable protagonist. In LOOSE ENDS KILL, which was just recently released, West gets a call for help from an old friend who has been arrested for murdering his wife. West doesn’t really want to get involved. He doesn’t even know what he can do to help. But, he gets in his car and heads to San Antonio, because, as in COLD WINTER’S KILL, a friend has a major problem and saying no is not an option. No, Jim West is not me. But, I like him, and my readers seem to be happy with him, too. That’s right, Anastasia. Lately, when it comes to necklaces, the bigger the better. 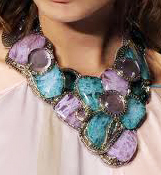 Big, bold, funky, chunky necklaces, sometimes called statement necklaces, have been all the rage on the fashion runway as well as the red carpet. Now they’ve entered mainstream fashion. 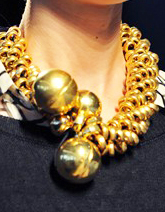 Styles run the gamut from short chunky chains to long, layered strands to mesh-like bibs. Wooden beads to gemstones. Organic looking baubles to geometric shapes. Metallics to earth tones to super bright colors. Anything goes as long as it’s huge. Thanks, Erica! For those of you who love the look but can’t afford the cost, take a trip to your local crafts store to buy the supplies for making these necklaces yourself. They’d make great holiday gifts or a treat for yourself for that New Year’s eve party. 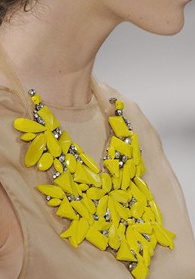 And here's another tip: change up an existing necklace by adding a large pin. Just connect the ends of the necklace to the pin back and you've got a trendy fashion accessory without spending a dime. I sure do, Anastasia. Window coverings are a necessity for most homes unless you live out in the country with no neighbors for miles. Custom drapes, curtains, shades, and blinds can be very expensive, though. So most of us settle for the standard fare we find at discount centers and chain home goods stores. You can have custom window treatments without spending a lot of money. The first thing you need to do is purchase inexpensive drapes or curtains in a solid color that matches your décor. Make sure you buy ones that you can toss into the washing machine. Next, take a trip to the fabric store and find fabric that coordinates with your purchased drapes or curtains. This can either be an overall pattern like a stripe or plaid or a fabric with large motifs, such as florals, birds, teapots, etc. What you need to decide is whether you want to add a border of fabric to the drapes or curtains or a free-flowing appliqué design. While at the fabric store, purchase enough fusible webbing for your project and any desired trims. Wash the drapes or curtains and the fabric you purchased to remove the sizing. Following the manufacturer’s directions, apply fusible webbing to the back of the fabric. If doing appliqués, carefully cut out the images from the fabric. If doing a border, make sure you measure and cut correctly so you have the right lengths to fit across the drapes or curtains. You’ll want to add an inch or two to each end to turn to the back of each drape or curtain panel. Fuse the fabric in place on the drapes or curtains. If you’ve gone with a border, use fabric glue to apply ribbon or gimp braid over the cut edges of the fabric. If you’ve gone with appliqués, you can leave the edges bare, finish with a machine satin stitch, or finish with fabric paint writers (the kind that come in squeeze bottles) in the color of your choice. Thanks, Jeanie! Have any of you ever taken something store bought and embellished it in some way to make it more personal? Let’s hear from you. Coat bottom of 2-1/2 qt. shallow baking dish with butter. Add apples. Pour lemon juice and water over apples, mixing to coat. In a large bowl mix together flour, oats, sugar, cinnamon, and salt. Cut in butter until mixture is crumbly. Add walnuts. Crumble mixture over apples to cover completely. Bake at 350 degrees 45 minutes. Serve warm or at room temperature with a scoop of vanilla ice cream. 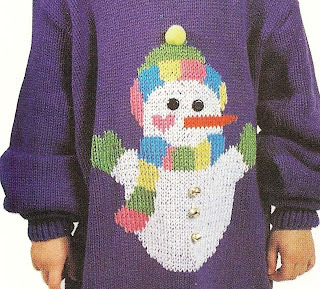 NOTE: This model was stitched on a sweater with a gauge of 5 stitches and 7 rows to the inch. A sweater with more stitches per inch will result in a small finished design. A sweater with less stitches per inch will produce a larger finished design. Model shown is approximately 11-1/4” high x 10-1/4” wide. 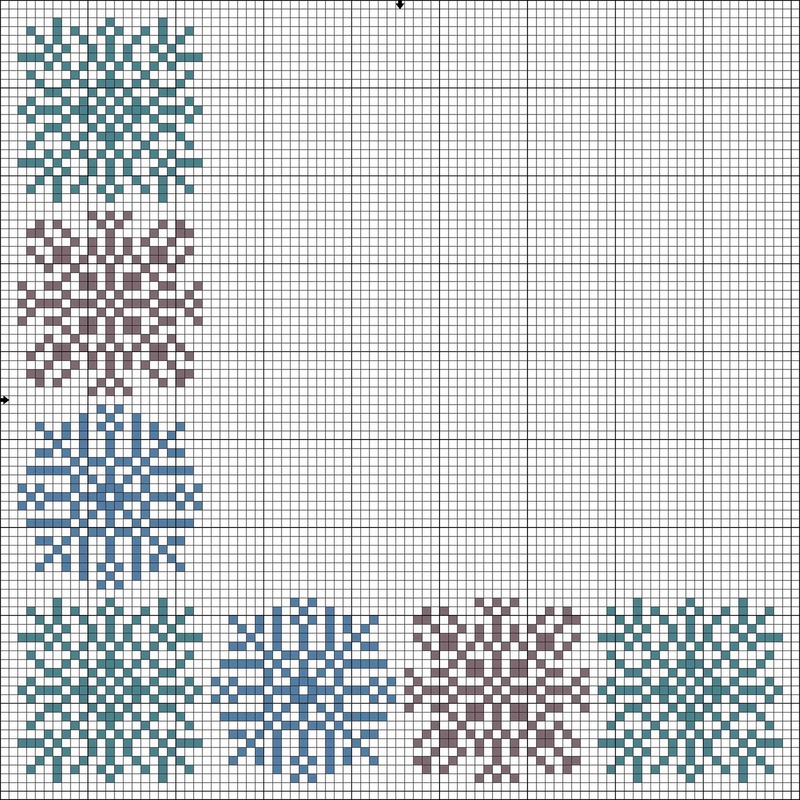 Each square on the graph represents a “V” shaped duplicate stitch. The duplicate stitch is made by covering the “V” stitch of the stockinette stitch sweater. 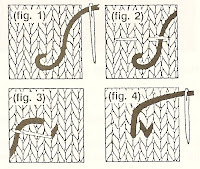 This is done by bringing the needle up from the back at the point of the “V” (fig. 1). Next, Insert the needle through the upper right point of the “V” and out through the upper left point of the “V” (fig. 2). Bring the needle back down through the base of the “V” (fig. 3). 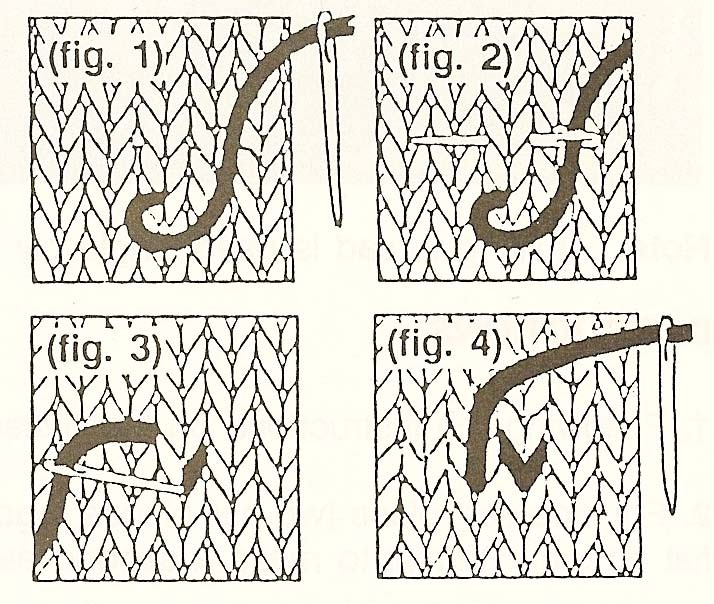 Begin the next stitch by bringing the needle up at the base of the “V” to the left of the just completed stitch (fig. 4). Work in horizontal rows wherever possible. For best coverage, separate the strands of floss before threading the needle. 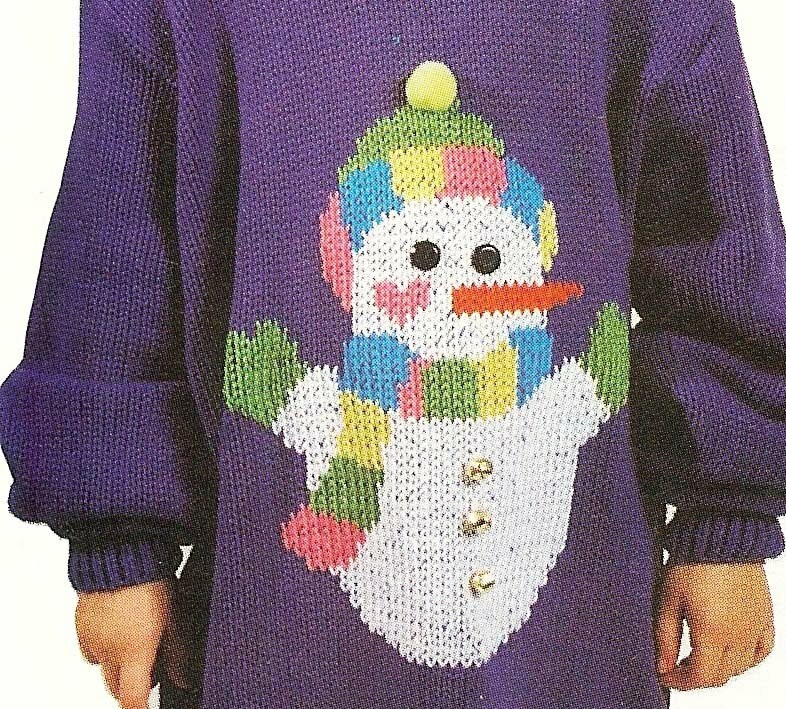 The model was stitched using 8 strands of floss. Sweaters with different gauges will require more or less strands. Work a test section to determine the number of strands needed for best coverage. 1. Measure the sweater to find the center. Mark with safety pin. 2. Following the chart and Color Key, stitch the design centered left to right on the sweater and beginning 3” below the neck seam. 3. 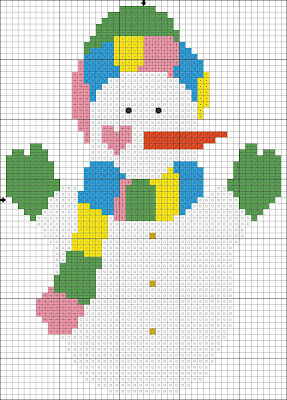 Sew buttons to snowman where indicated by black dots for eyes. Sew jingle bells where indicated by gold dots. Glue pompom to top of hat. + 894 carnation very lt.
/ 946 burnt orange med. x 996 electric blue med. Thanks to all who stopped by this week at Killer Crafts & Crafty Killers. We hope you'll come back often and also tell your friends about us. We have lots of exciting posts and guests planned for the months ahead. 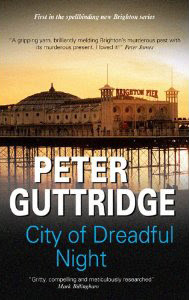 I’d also like to thank Peter Guttridge for being our Book Club Friday guest and offering a copy of City of Dreadful Night to one of our readers who posted a comment this week. The winner this week is Joann. Joann, please email your mailing address to me at anastasiapollack@gmail.com. I’ll forward the information to Peter, and he’ll mail your books to you. But now I’ve moved from the Daft Side to the Dark Side my engagement with real events is more problematic. My new novel, City of Dreadful Night, is based on a 1934 unsolved true crime. A butchered woman, her head never found, her identity never established, her killer never caught. For this definitely non-comic novel I had access to a mass of detail in the police files. I had to be ruthless, not allowing myself to pile in my novel some fascinating stuff that had nothing to do with the story I was trying to tell. Ruthless enough? Yes - but as City of Dreadful Night is now the first of a trilogy, that stuff might still make it in. Hi Everyone! 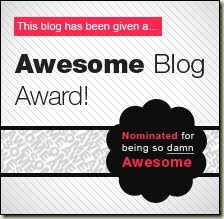 Sorry to brake into Kelle's wonderful guest blog today, but I need your help. Thanks to a reader down in Virginia, author Lois Winston learned yesterday that a printing error occurred in some copies of ASSAULT WITH A DEADLY GLUE GUN, the book about yours truly. The last 48 pages are missing! Unbelievable, right? At this point we have no way of knowing how many books are missing pages. 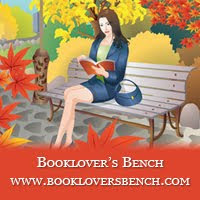 The reader purchased her book at a Borders. The other copies at that store were also missing 48 pages. Lois has checked at her local Borders in New Jersey, and those books were also missing 48 pages. Her author copies, the books she's bought from Amazon, and the books at her local Barnes & Noble are all fine. So I'm asking a huge favor. If you happen to be in a bookstore, would you please check the store copies of ASSAULT WITH A DEADLY GLUE GUN? The correct version should have 302 pages with the last page being Lois's author bio. The books with missing pages end at page 254, mid-sentence. If you come across books with missing pages, please let the bookseller know. There is a procedure in place for booksellers to deal with printing errors. Also, if it's not too much trouble, please shoot Lois a private email to let her know if you did find any defective books. Greetings fellow travelers! I hope you all recovered from our whirlwind shopping trip last month. Here in my Tennessee home, nature gifted us with a White Christmas and the perfect winter, one that lasts only about 3-6 weeks. Despite this, January is overcast and gloomy—and brings with it the pressure to make resolutions. I’ve given up on New Year’s Resolutions. How many of you make them? How many keep them? I confess there was only one New Year’s Resolution (out of many) that I actually kept. Before I reveal it, you need to know a little about me. Generally, I have two speeds: all out and full stop. Life is short, so I throw myself into it. For example: I earned a Ph.D. in chemistry, taught at a graduate level, and worked in industry doing research, teaching, engineering, and sales support revolving around water purification and use. It was tough but fun. I also earned a third-degree black belt in Karate, developed and sponsored self-defense workshops, taught at a women’s shelter and obtained certification with a national self-defense training organization. From that I developed my passion for raising awareness about Domestic Violence and its prevention. And all of this in spite of my two left feet! Then, I started writing. One novel, a handful of short stories and a closetful of manuscripts later, I’m still writing, developing workshops on craft and striving to perfect my skills. Oh, and in between all of this, I dabbled in house buying and remodeling (laying bricks was more fun than installing linoleum), wedding planning (my own), community and charitable activities and just about anything else that presented itself. Which brings me to the NEW YEAR’S RESOLUTION. During a hyperactive phase, where I took time out only to eat and sleep, I resolved to relax on the couch and read more books. Seriously. I resolved to be lazy. You’d think it would be easy, but I struggled to keep it. Eventually I achieved a better (though far-from-ideal) balance between doing and not doing. So, instead of striving to do more, be more or get more, this year, I’ve decided to appreciate what I have more. To count blessings instead of short comings. To balance accomplishments with goals. And to continue to read more books. So what about you? Won’t you join me in declaring January “Curl-Up-And-Read-A-Book-Month?” Because really, there is nothing in life that can’t be made more bearable by a cup of hot tea (or cocoa or coffee) and a satisfying book. We all deserve some time out to replenish ourselves. If you agree, please comment with your suggestions of a great book for January reading. And I’ll see you next month, when I’ll share some of the romance of Paris, just in time for Valentine’s Day. Happy Reading!